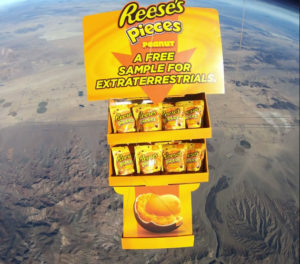 Get a free sample Reese’s Pieces Peanut! Have you had an extraterrestrial encounter? Tag Reese’s in a comment, photo, video or drawing! Maybe they will send you a free bag.